We take a sneak peek at Descent: Underground – due out some time next year for PC and Linux owners. Descent: Underground is an officially licensed prequel to the successful Descent games of the mid to late nineties. The original games revolutionized the FPS genre by offering full six degrees of freedom during a time where we had only really seen that in space shooters like X-Wing or Wing Commander. Funnily enough, the people at Austin-based Descendent Studios have plenty of space shooter credits behind their names, including Wing Commander, Starlancer and Star Citizen. 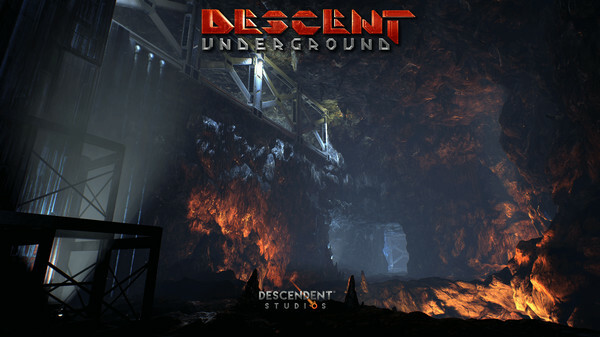 While the original game was very much confined to the narrow corridors we were used to in then-popular games like Doom, Descent: Underground makes use of the horsepower that modern PCs offer by providing a combination of tunnels, caverns and open space – delivered through the use of the Unreal 4 engine. The game is scheduled to be released some time in 2016 – most likely sometime around spring. The project started out as a Kickstarter initiative and was successfully funded a little over half a year ago. The game is now mid-development and has already been shared with Kickstarter backers, members of the press and those lucky enough to see it at recent trade fairs. It’s now also available on Steam Early Access, where the developers invite everyone to supply feedback so they can make the game that the community is asking for. We played around with the Early Access version which is now available though Steam. Even though the game is still about half a year away from release, the current version is very playable despite some of the bugs that are to be expected. 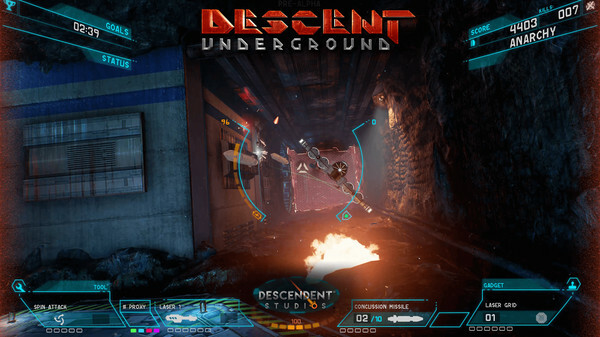 While the original Descent restricted players to close quarters combat, mostly in narrow corridors and small hallways, subsequent entries in the series (especially the Freespace spinoffs) already let people explore the planet surface and outer space – so this isn’t where Descent: Underground makes a difference. Instead, consider this a “best of” compilation when it comes to the types of surroundings you’ll encounter, mixing tight corridors with large caverns. The real difference is in the game’s visuals – it’s been over 15 years since the last proper Descent game (part 3) was released, and those looking for a Descent experience with modern day visuals will feel right at home here. At this stage of development, we can’t say too much about the game’s single player content – since that hasn’t really been implemented yet. There’s a lot of multiplayer and bot content to play, which helps in exploring the game’s graphics and controls. Being used to playing the original games with a mouse and keyboard combination, it felt good trying Underground out with a flightstick instead, although frantic movements and sharp turns are perhaps better suited to a gamepad. Time will tell what works best, and we’ll definitely go back to mouse and keyboard controls to try that out as well. Never having played any of the old Descent games in multiplayer, we’re eager to find out more about the single player mode. The puzzles, the bosses, the storyline…. we’ll have to wait and find out. But what’s here already are some solid dynamics and graphics and we look forward to seeing how the studio will build on these foundations.